Here is the list of the hotels near Molières. Book your hotel near Molières today, Monday 13 May for the best price, reservation and cancellation free of charge thanks to our partner Booking.com, leader in on-line hotels reservation. Below here is the list the 50 closest hotels of Molières, sortable according your criteria. You will find the position of these accommodations on the Molieres hotels map. L'Oustal dè Pèiro is a one-bedroom cottage located 6 km from Assier and its train station. It has free Wi-Fi and a terrace and a courtyard with barbecue facilities, and guests can enjoy hiking around the property. The cottage has a seating area with a flat-screen TV and DVD player. There is a fully equipped kitchen and a bathroom with shower, as well as a washing machine. The property is located in the heart of the village of Le Bourg where guests will find a bakery and can visit an 11th Roman church. Just 4 km way in Lacapelle Marival, there are stores and a swimming pool. L'Oustal dè Pèiro is set a 30-minute drive from Rocamadour and Gouffre de Padirac, while Saint-Cirq-Lapopie is 47 km away. The property offers free parking. Maison De Vacances - Rueyres is located in Théminettes and offers barbecue facilities, a garden and a terrace. Guests are welcome to enjoy the free WiFi. The holiday home comes with a TV and 3 bedrooms. A dishwasher and an oven can be found in the kitchen. The holiday home offers an outdoor pool. A children's playground is available for guests at Maison De Vacances - Rueyres to use. Rocamadour is 25 km from the accommodation, while Figeac is 24 km away. 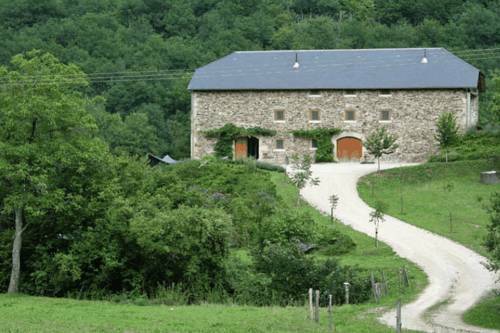 The nearest airport is Aéroport d'Aurillac Airport, 71 km from Maison De Vacances - Rueyres. Below here is the hotels map of Molières. Names and details of Molières hotels can be shown on the map clicking on the prices icons.